King Henry VIII was the King of England from 1509 until 1547. The King ruled his country with an ironfist and made many enemies while doing so. Perhaps, the greatest enemy that he created was the Catholic Church. His reign would spark centuries of struggle between the Monarchs of England, the people, and the Catholic Church. It would lead to religious pilgrims destined to plot a new course for themselves in the New World and eventually America. The showtime television series 2007-2010 focused on Henry VIII's reign. King Henry VIII is played by Jonathon Rhys Meyers from season 1-4. His portrayal of Henry VIII is excellent, from the very beginning of the show you are captivated with his persona. Meyers plays the part well, he comes across as Kingly, and accurately depicts the infamous Monarch that he doubles as on screen. In season one we are introduced to Meyers version of Henry VIII who has a devoted, but overly-religious, wife played by Maria Doyle Kennedy and a Cardinal doubling as his Chancellor Sam Neil. Both of these characters will aid weight to Meyers preformance as much of his screentime is devoted to matters that both of these characters present. However, soon we are introduced to the drama or conflict within the show. Anne Boleyn played by the beautiful Natalie Dormer becomes the driving obsession for Henry VIII and much of the show itself through season 1 and 2. The conflict of the first season soon becomes obvious to the obstute viewer. Henry VIII desires Boleyn, but is locked in marriage with Maria Kennedy's character Catherine. The only way he can produce legitimate offspring with his chosen mistress is by divorcing Catherine. Unfortunately the Catholic Church will not grant his request because the Pope is in thrall with the Holy Roman Emperor which is Catherine's nephew and he refuses to see his Aunt divorced. Unfortunately this presents a major problem for Sam Neil's character, Cardinal Wolsey. Cardinal Wolsey is placed in a tough spot as he desires power and wants to continue serving the King, but he does not hold enough power in the church to circumvent the Pope and thus he ultimately falls out of favor with Henry VIII. Of course this is what Anne Boleyn's character has desired the entire time as she is a secret Lutherian and wants to see the Church dismantled. Throughout Season 1 we are gradually introduced to a lowly secretary to Cardinal Wolsey named Thomas Cromwell, played by James Frain. Frain is a secret Lutherian who also desires the church's collapse and aides Anne Boleyn by giving her banned books. 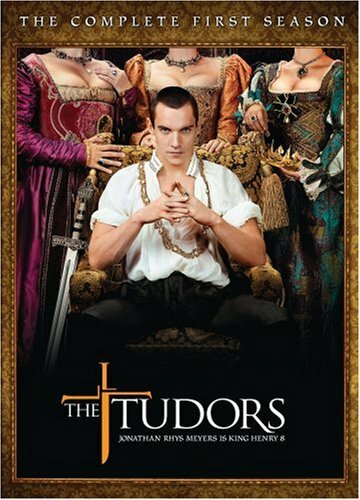 Season 1 of the Tudors is excellent and the plot continues into Season 2 where Henry VIII begins to meet new wives and of course execute his current wives. This plays into the mythos about Henry VIII, but the true story in the show isn't his marital issues, but the lengths that he will go to achieve his goal, a son. Henry VIII is consistantly unable to give birth to a son that lives and he will go to any lengths and have as many wives as it takes to get one. The Tudors, all four seasons, is avaliable on Netflix. I highly recommend this show because it is a show that once you start watching you will be unable to stop. It is a great show to pop on during a rainy day and just watch in a marathon. The actors who play these characters are unbelievably good and the story is mostly true to history. Check it out on Netflix today.